Mitigation Plan to identify elements within the city that could be affected by a disaster such as an earthquake, flood or wildfire. 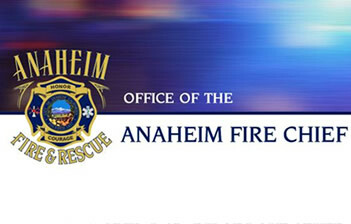 Anaheim Fire & Rescue together with the City of Anaheim invites you to share your feedback to the draft 2015 Hazard Mitigation Plan and take a brief survey by Friday, April 8, 2016. The Hazard Mitigation Plan identifies and assesses our community’s risks for natural disasters and how to best manage those risks. Public participation is encouraged by reviewing the 2015 Hazard Mitigation Plan draft and completing a brief survey available online at www.anaheim.net/fire. This plan contains a comprehensive review of the natural disasters that are most likely to occur in Anaheim and projects that the City can undertake to mitigate those risks. Once completed, the plan will be forwarded to the Anaheim City Council for consideration. If you have any questions regarding the City’s Hazard Mitigation Plan or questions related to public participation, please contact Adriana Kennedy, Anaheim Fire & Rescue Administrative Analyst at (714) 765-4024.